The final step in a successful utility installation consists of backfilling and compacting the soil around and on top of the newly installed utility. A professionally done job of soil compaction helps assure that the ground in the area of the installation has the required load supporting capability and will not settle over time. Done incorrectly, an inadequate job of soil compaction often means doing the job over with associated cost and schedule overruns. Soil compaction consists of mechanically increasing soil density by moving soil particles closer together and forcing out the air that is trapped between them. Barone compaction wheels help to assure that this is done faster and more effectively than with vibratory machines and with less wear and tear on operator and machine. Vibratory machines by their very nature lead a tough life and require frequent maintenance. The Barone Care-Free lifetime-lubricated compaction wheel, on the other hand, requires absolutely no maintenance thanks to our proprietary sealed journal bearing. If you consistently haul material away from a jobsite that has been compacted with a vibratory plate, you have probably left a lot of voids behind. Try the Barone Care-Free'" compaction wheel on your next job and you will see the difference. 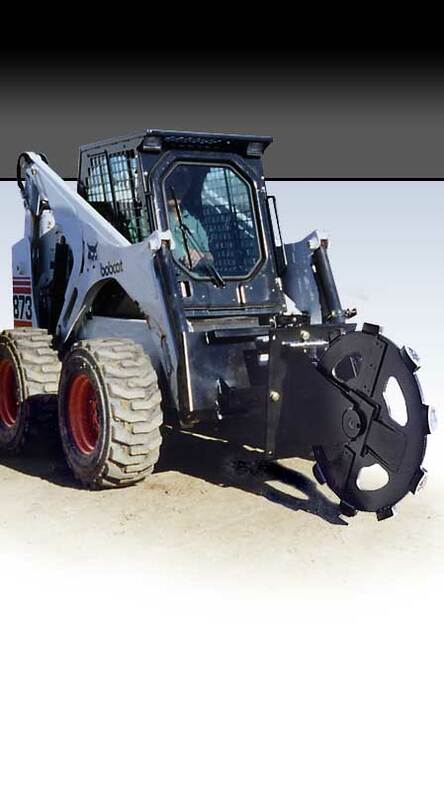 Barone manufacturers compaction wheel models for skid steers, backhoes, loaders, and excavators. Click here to find the compaction wheel that's right for your machine and type of soil. © COPYRIGHT 2013, BARONE, INC.